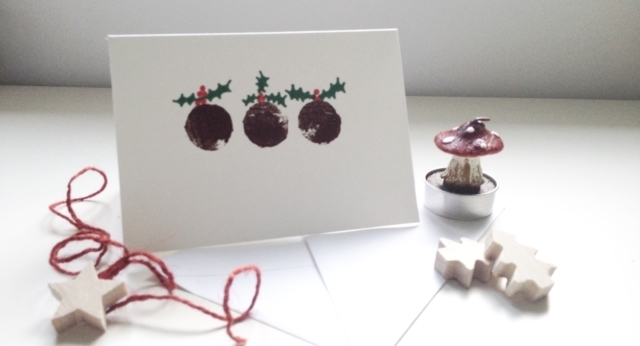 It's day five of #CraftAdvent2015 and I've given my contributors a little break, so you'll have to put up with me today! One thing I usually have in my craft stash, however, is card blanks. These are readily available in craft shops and are really handy to have in the house. Usually it's the kids that end up using them to make cards for their friends or to send thank-you notes to loved ones but from time to time I use them myself too. 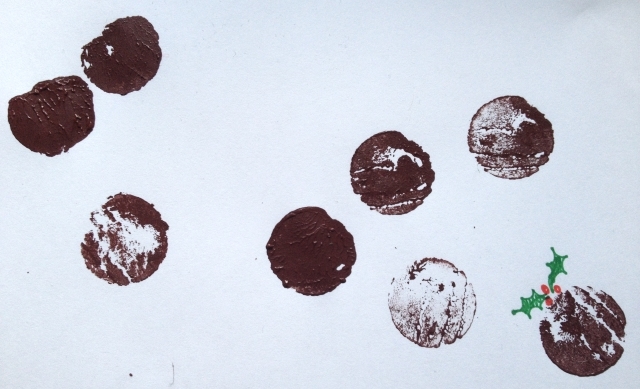 Make a few practice stamps on your spare paper until you find the texture you're happy with. 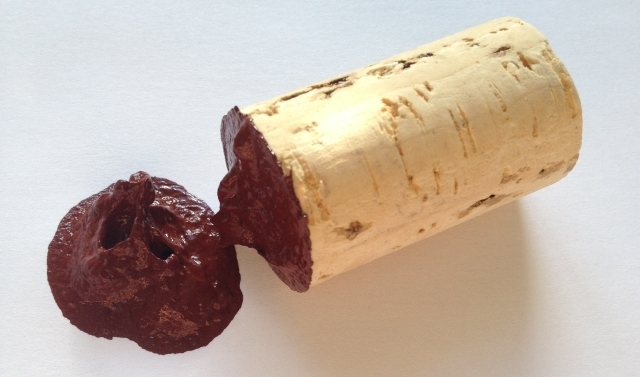 You don't want the paint to be too thick, so you can see some of the rough-texture of the cork coming through. For me it was the third stamp that I liked the best. Now start making those cards! 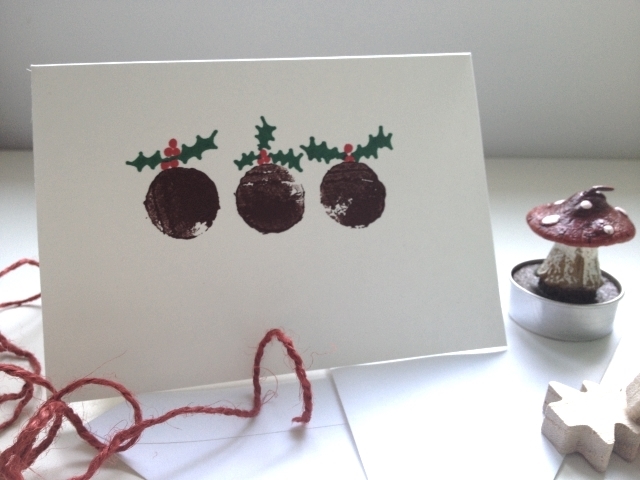 I've just put three puddings in a row, here, and added holly and berries to the top using the felt-tips. You could add text underneath with letter stamps (if you have any) or with really neat handwriting (if you have it) or just leave it as it is. 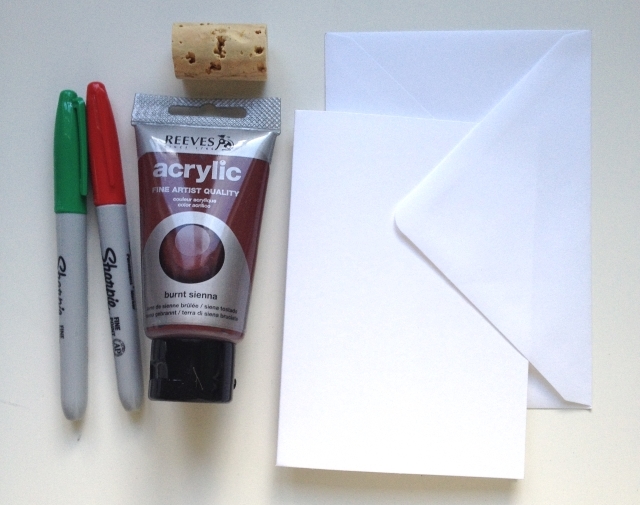 You could also use this technique to make matching gift tags or even print onto brown paper to make wrapping paper (if you have the patience). Now all you have to do is... write them, put stamps on them and get to the post office... does the list of Christmas chores never end? !